Secure communication is one of the biggest concern for all whistleblowers, journalists or any person – who like to ensure the privacy of his communication. It’s a pity how our own security agencies breaking all ethical and privacy rule in the book just on the name of national security. In past years various leaked documents has reveled how security agencies like NSA, Homeland are breaking all rules of privacy on their own citizens. So, the question remains how one should ensure that his/her communication is secure and it’s not monitored. Currently there are many messaging application our there all of them have one thing in common. They deliver your messages and provides a way of instant communication through messages. How should one decide which messaging app is secure for his/her communication? It’s a big dilemma most journalists and whistleblowers are facing nowadays. 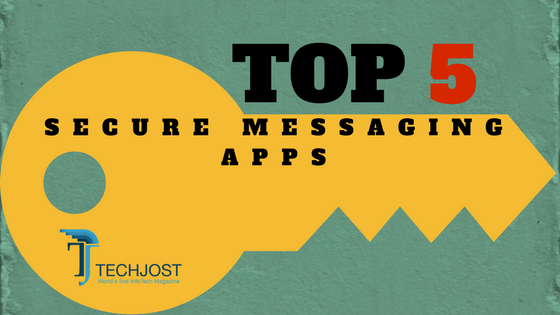 Here we list the 5 best applications out there in the market, which not only ensures your smooth communication. These apps also provides you end-to-end encryption. The apps are designed in such a way that only you and the person you are connected with can read your messages. The reason why I choose SIGNAL above all others is personal liking. The SIGNAL team is doing an amazing job in ensuring the secure communication is made possible for every person around the world. This is a FREE app, which allows you to send and receive private messages and calls. You can use your mobile number, any landline number or either a VoIP number while setting up your account. SIGNAL employs end-to-end encryption, which pretty much guarantees that your messages will only be delivered to the person you choose to send. Nobody even signal servers can intercept your messages – which pretty much kills the concern of anyone breaching your privacy. This is specially designed for whistleblowers, who feel highly insecure while communicating with each other. The Signal Protocol is the most developed cryptographic ratchet available. You can also setup a time frame for sent messages to self destruct automatically. You can also use this app for work since it’s free. The worlds biggest messaging app with over 1.2 billion active users all over the world. WhatsApp’s top priority is always to ensure the security of their users. In 2016, the company introduced end-to-end encryption for their users – Which allows only the recipient to read the message you have sent. WhatsApp also provides a security code to check that there isn’t any “man-in-the-middle” attack on you. This attacks enables the spying on your messages before they are delivered to the intended person. WhatsApp calls are also end-to-end encrypted so, you can talk openly about anything with the person you are calling. Chat Secure is another highly trust worthy messaging app but it’s only limited to iOS users. It was previously also available for Android users but in past few months its iOS version is only active. The source code of all its projects is hosted on GitHub. When you are starting a conversation on Chat Secure you’ll see a digital fingerprint – which you can check with the person you are messaging. It’ll ensures that no one is intercepting your messages. Another highly effective messaging app when it comes to secure communication. Telegram is first launched in 2013 and it’s also available for Windows phone users. This is an ideal app for anyone who is using a smartphone with Windows OS. It’s also FREE and enables you to send files along with messages while ensuring your privacy. It also works for large groups because it has a capacity of 5,000 group members. Since, it’s free you can also take advantage of its features in a business environment. It’s a cloud based messaging app so, you can access it at the same time from more than one device. This is an Android OS based messaging, calling app. Which also provides high level of encryption to its paid users. This app isn’t free so, anyone who is willing to pay for some money on monthly basis for using an encrypted app – This one is for them. Only problem is that; Ceerus is only limited to Android smartphone users and you recipient should also need to have an Android device for you to connect with him.